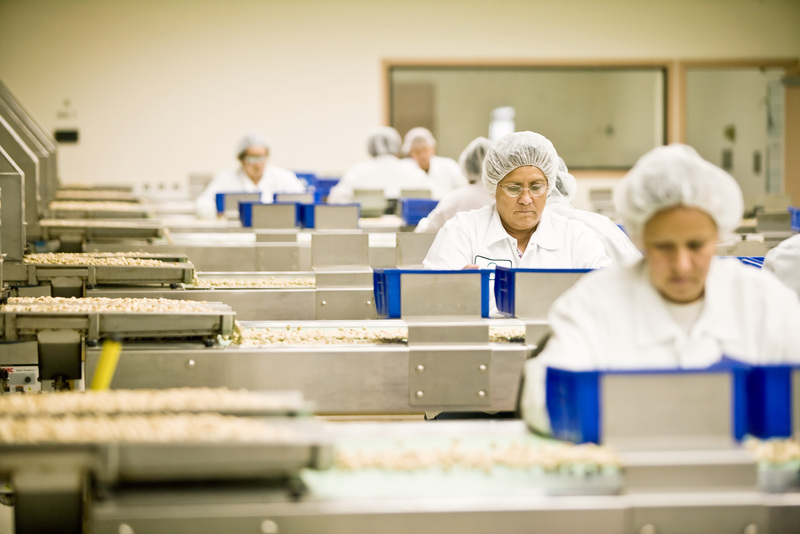 Women sorting pistachios in processing plant. Industrial, agriculture. David Zaitz Photography.